Due to their high feed intakes and high concentrate: forage ratios in diets, high producing dairy cows are at risk for negative impacts of the mycotoxin deoxynivalenol (DON) on milk quality and component yields. The extent of the negative response can be managed by nutritional means, through the use of certain phytogenic substances for more consistent milk component yields and low somatic cell counts (SCC). DON, the most prevalent mycotoxin in animal feedstuffs globally, has been shown to have a negative impact on rumen efficiency. Scientific studies reported that DON negatively impacted certain aspects of rumen fermentative capacity, especially reduced acetate and propionate production. Other reports show negative impacts on SCC in milk. 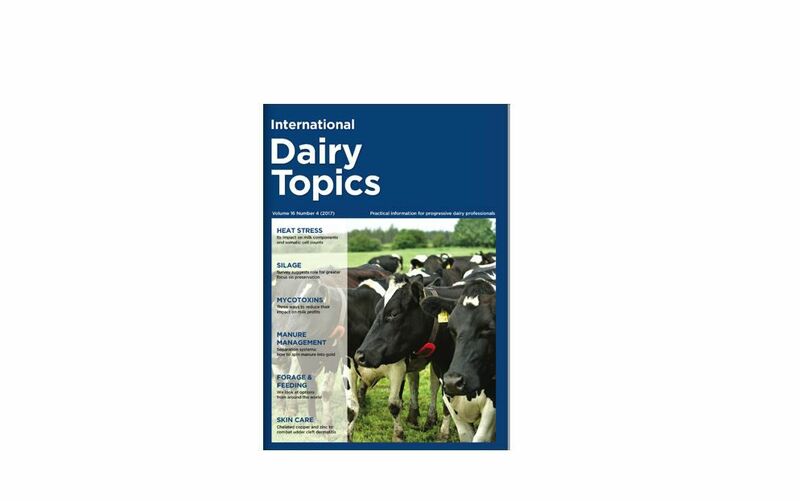 Find out how plant extracts can help to increase the resistance in dairy cows to DON by nutritional means in an article published in international dairy topics here. First indications from 2017 US crop reports show that a wet spring and severe draught conditions are affecting grain quality and DON prevalence. Poor to very poor ratings for corn are twice as high compared to last year. Any level of mycotoxins present in corn can be expected to be three times as high in corn DDGS. Currently 7.6% of corn is being displaced by corn DDGS in livestock rations. The substantial increase in the availability of corn distillers grains has also increased the interest in using these feeds in dairy cattle rations. A short video by ANCO provides more information on feeding corn ddgs to dairy cows in the link to the article Feeding dairy cows DDGS with confidence.